We provide a wide range of automotive services from full auto repair to complete vehicle preventative maintenance services. We specialize in Honda, Acura, Toyota and Lexus Vehicle repairs in the Greenville SC area. Below is a list of all our professional automotive services. POWER STEERING SERVICE - Power steering systems produce high temperatures and extreme pressures from 800 to 200 pounds which leads to power steering fluid breakdown and failure. With BG products power steering service, a cleaner dissolves gums and varnish in the power steering pump, rack and pinion. This maintenance will lead to a quieter longer lasting power steering system. FUEL / AIR INDUCTION SYSTEM SERVICE - Carbon deposits over time will accumulate on the intake valves, intake ports and in the fuel injectors causing rough idle, misfire, hesitation, loss of power, hard starting and a loss of fuel mileage. With fuel/air induction service, we will clean with special equipment the fuel injectors, throttle body, plenum and air intake, intake valves and ports, remove combustion chamber deposits and correct the balance of fuel and air in the system. TRANSFUSION TRANSMISSION SERVICE - After 30,000 miles, transmission fluid begins to show its age as it turns brown in color and oxidizes due to the combination of time and heat. Deposits begin to form around the transmissions numerous moving parts which could result in valves that stick or gears that slip or are sluggish and chatter as they shift. Rather than just removing the fluid from the bottom of the pan, the entire transmission and torque converter have the old contaminated fluid removed and replenished with new transmission fluid with the use of special equipment. 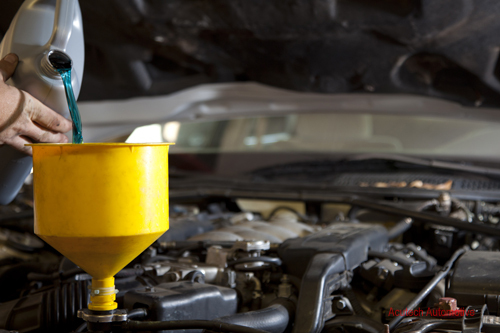 BRAKE FLUID FLUSH - Brake fluid becomes oxidized and contaminated over time and use. Heat and moisture cause corrosion on parts and brake fluid failure. 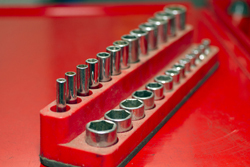 One of our highly trained technicians will check the condition of your vehicle's brake system. The entire brake system will be inspected for leaks, master cylinder corrosion; worn hydraulic parts, varnish build up, worn rotors and drums. The contaminated brake fluid will be flushed from system's brake lines and master cylinder and brake fluid reservoir. Then the braking lines will be purged of any air in the system. As your car accumulates mileage and age, the forces of nature and friction begin to take their toll on brake components, braking systems gradually begin to lose some of its effectiveness. To keep your vehicle in a safe condition, you need to keep your brakes properly serviced, and the first step in that process is a brake inspection. The main elements of the brake system should be checked about every 7,500 miles or so. How frequently you check may depend on a number of factors such as the age of your vehicle, the type of braking system, the terrain where you live and the manner in which you drive. Someone who lives in hilly areas will wear through brakes more frequently than someone living in less hilly areas. Likewise, people who tend to ride the brake pedal will cause their brakes to wear out prematurely. Mileage that you put on your car driving in city traffic -- with all of its stops and starts -- is harder on brakes than highway mileage. It's a good idea to have a more thorough inspection of your brakes at least twice a year, but it certainly won't hurt to do it more frequently. The first part of a brake inspection at Acutech starts with a little Q&A. You may be greeted with some questions to better determine what the problem may be. It helps a lot if you are already prepared to answer these questions. * What kind of noise do you hear? Squealing? Grinding? Groaning? Moaning? Or Clicking? * When do you hear the noise? All the time? Only when you brake? On cold mornings? In reverse? * Do you feel anything unusual when you brake? Vibration in the front of the vehicle? Pulsation in the pedal? Movement in the steering wheel when braking? Soft pedal? Sinking pedal? No pedal? * When is the last time you had brakes done? Has anyone looked at this yet? Unless it is obvious there is a problem as soon as we step on the brake, the technician should drive the vehicle and try to replicate the problem under various conditions. Acutech technicians understand the sounds different components of the vehicle make and knows what certain problems feel like.